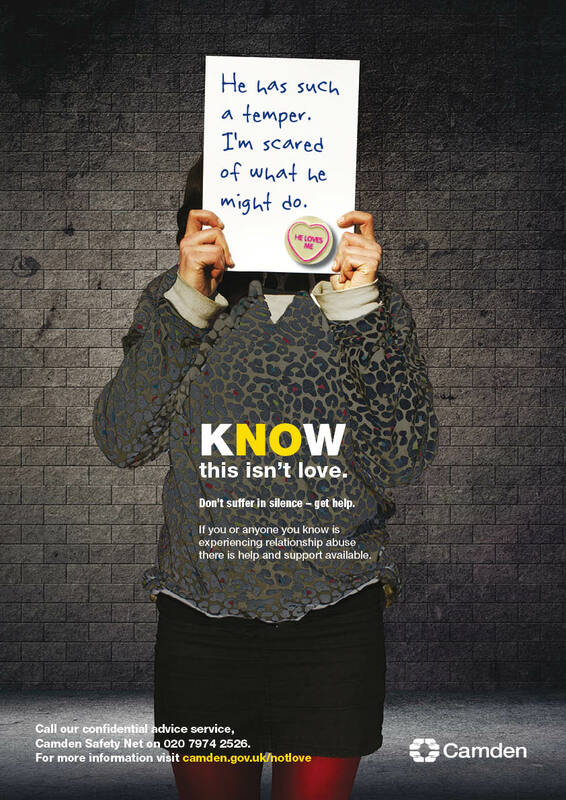 On this site you’ll find information about our current and past campaigns as well as information on spotting the signs of domestic violence and abuse and how we can help if it is happening to you or someone you know. We launched a powerful new video as part of our Know You’re Not Alone campaign to tackle domestic violence and abuse in Camden. 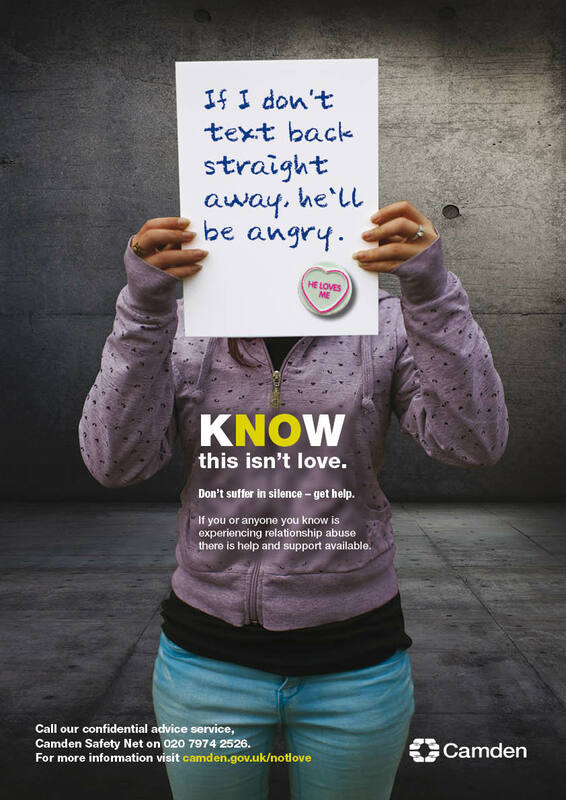 One in four women and one in six men will experience domestic abuse in their lifetime. 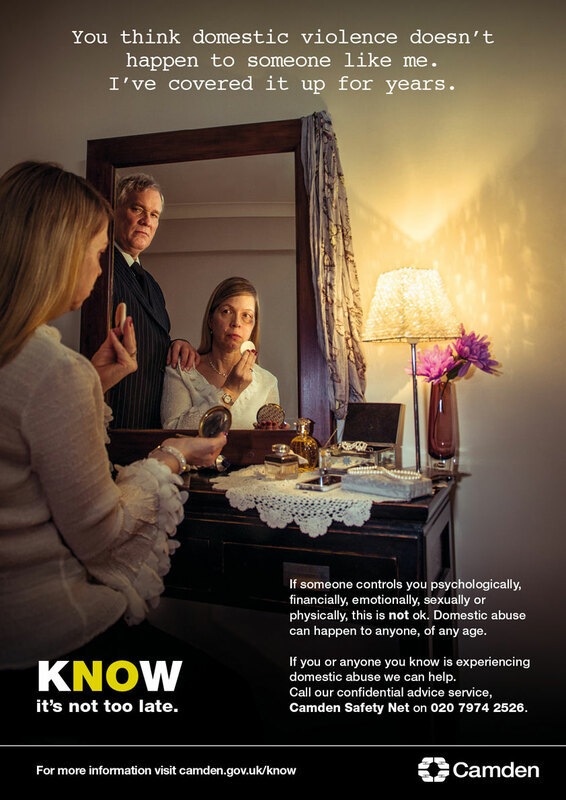 The message of the campaign is that domestic abuse can happen to anyone regardless of age, gender identity, sexual orientation or culture and we have worked with partner organisations and community groups to develop the video’s six scenarios. While it isn’t possible to depict every situation, the campaign aims to highlight the diversity of what abusive behaviour can look like, who it can happen to and where to go for help. 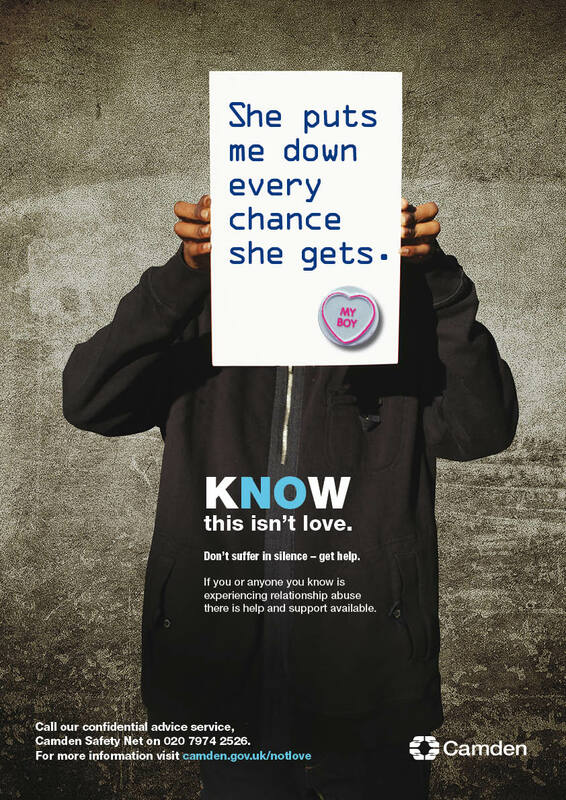 Know this isn’t love is our award-winning 2014 campaign to raise awareness of and help lower instances of abuse in relationships amongst young people in the borough. Recent research revealed that many 14 to 25 year olds think controlling behaviour in relationships is normal and do not always know what to do when they experience controlling and abusive relationships or how to support friends or family. We want to change this. If it’s happening to you, it’s important to remember that it’s not your fault. Domestic abuse doesn’t have to be physical. On this website you’ll find information about types of abuse and the ways we can help. You can help other young people to recognise the signs of domestic abuse (also known as relationship abuse) by sharing our video. Young people, relationships and the law: Watch a further video produced by young people as part of Camden’s Summer University and the YMCA Young Health Champions exploring sexting, age difference relationships and sexual consent. 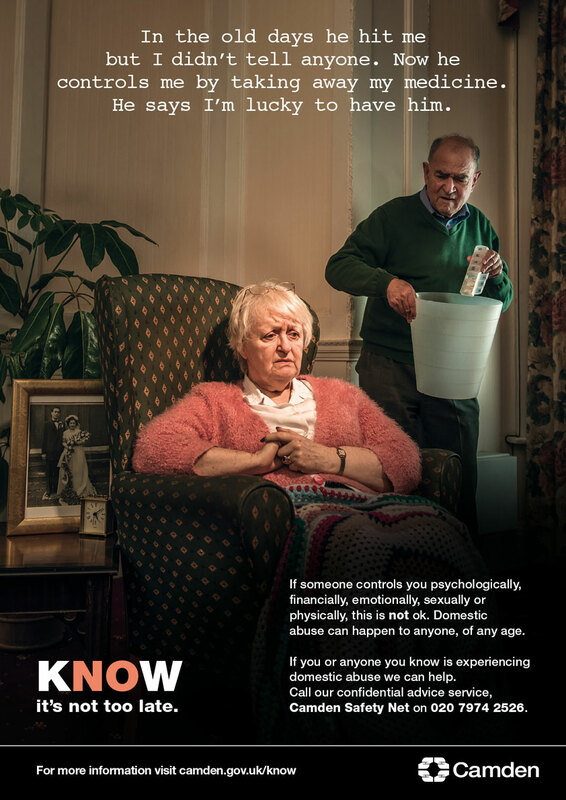 Know it’s not too late is our campaign to raise awareness of domestic violence and abuse amongst our older residents, and let them know that help and support is available. 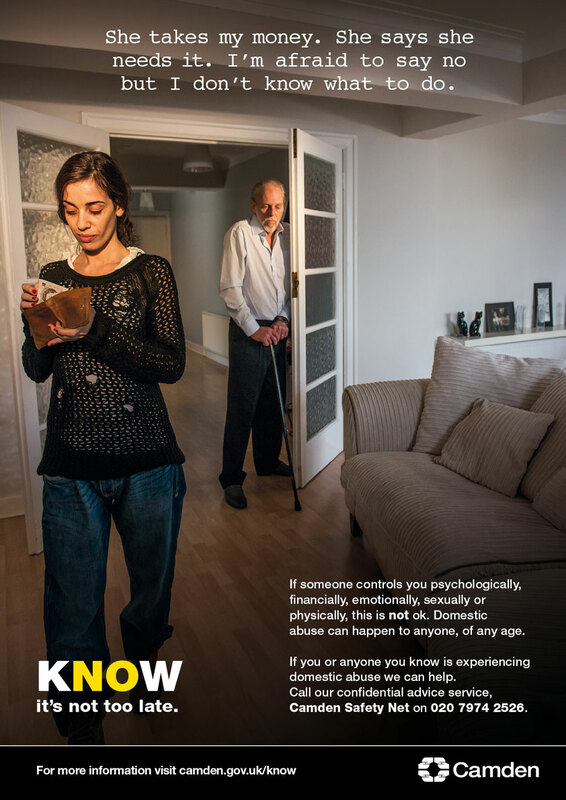 Domestic abuse can happen to anyone, at any age and for many who are suffering it’s hard to reach out to get help. Normally this happens behind closed doors, with friends and family often not realising what’s happening or knowing what to do. If you feel afraid to speak out or like you have no other options, know it’s not too late to make this stop or to help a person suffering from domestic violence and abuse. When you are in a relationship with someone you should feel safe, valued, supported, respected and never pressurised to do something you don’t feel comfortable with. If a partner or another family member acts in a way that makes you feel scared, intimidated, controlled, isolated or insecure, or you’re physically hurt, then this is not normal. This could be a sign of an unhealthy and sometimes dangerous relationship. Often, abuse develops over time and this can make it more difficult to spot. It can even start to feel normal and you begin to accept the way you are being treated or believe that you deserve to be treated that way. It’s important to remember that it’s not your fault and abusive behaviour shouldn’t be accepted. You might be reading this thinking that you know of a friend or family member who you are worried about, you can get advice on how to help them too. There are a number of key signs of domestic abuse or unhealthy relationships but it’s important to remember that these behaviours can vary. You may recognise one or more of these signs in your own or a friend or family member’s relationship, and they may happen sometimes or often. You are told what you are allowed to do, what to wear and who you can see. Someone uses your sexuality or gender identity against you, for example threatening to reveal this without your permission. It could also be that your partner or family member is withholding medication or deciding when you do or don’t see a healthcare professional. You are often insulted by you partner or family member, put down, or embarrassed in front of people or made to feel scared or worthless. This leaves you questioning your own judgement or you blame yourself for this treatment. You are being kept away from family or friends. Or someone tells you who you can speak to and when. A partner or family member stops you having access to your money. Or they take your money and control what you can spend it on. Or they may prevent you from working or make you miss work regularly. Physical violence is where you are harmed or endangered by a partner or family member when they use physical force, violence or aggression towards you. 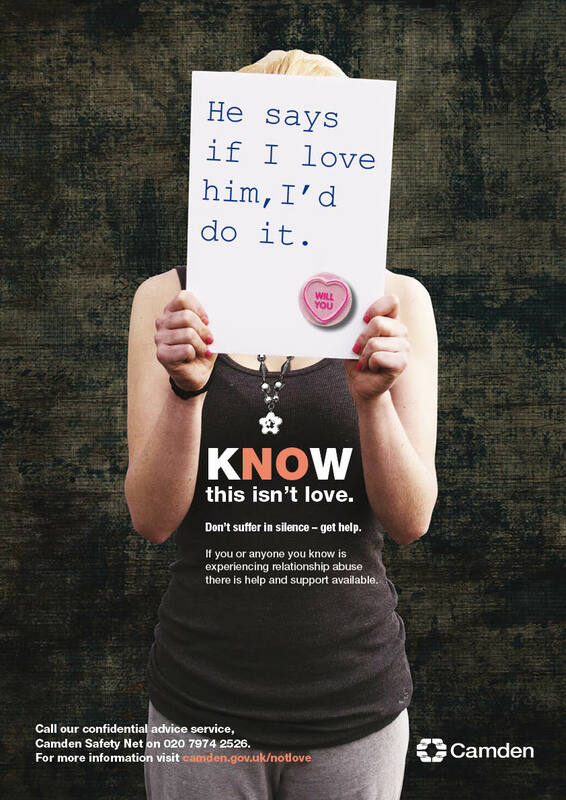 Sexual abuse is a form of physical abuse, and is any situation where you are forced or coerced to participate in unwanted, unsafe or degrading sexual activity. Abusive behaviour and violence is a deliberate choice made by the abuser in order to control you. You are not to blame. 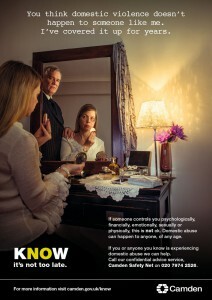 Domestic violence and abuse can happen to anyone, of any age. Call our confidential advice service, Camden Safety Net, on 020 7974 2526. 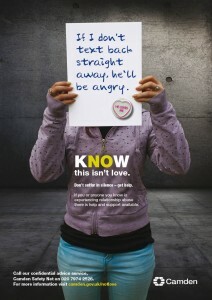 Domestic abuse often escalates from threats and verbal abuse to violence. While physical injury is clearly dangerous, the emotional and psychological consequences of domestic abuse are also severe. Emotionally abusive and controlling relationships destroy selfworth and can lead to anxiety, depression and make you feel isolated and alone. The first step to getting help and support is to recognise the reality of the abusive situation, then you can get the help you need. Controlling someone through fear, threats and name calling can be as damaging as physical or sexual abuse and the two often go hand in hand. If someone is making you feel scared or worthless, or leaves you questioning your own judgement we can help. We can provide a safe and supportive environment to listen to your experiences and help you rebuild your confidence and self-esteem. Being isolated by a partner or family member from your wider network is a form of control that can leave you feeling alone and trapped. We can help you get the support you need, reconnect with friends and family members or can link you with community groups and help you build new support networks. If a partner or family member is preventing you from having access to any money, taking money from you or controlling what you spend money on, we can help you. We know these situations can be complex but there are practical steps to help manage your finances, to give you more control or stop someone taking advantage of you. We can find ways to help keep you safe from harm, including improving the security of your home, or exploring alternative safe housing options. We can also support you through any legal action you may decide to take to keep yourself safe. It’s your decision about what action you want to take. If someone controls you psychologically, financially, emotionally, sexually or physically, this is not ok. Domestic abuse can happen to anyone, of any age. 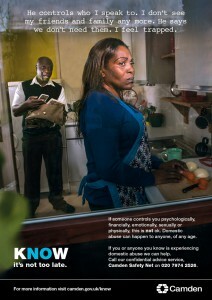 If you are experiencing domestic abuse we can help. Call our confidential advice service, Camden Safety Net, on 020 7974 2526. Encourage them to contact our confidential advice service, Camden Safety Net, on 020 7974 2526. If you are experiencing domestic abuse of any form, or you are worried about a friend or relative’s relationship – it’s important you speak to someone you trust. It can help you feel better about things and help you find a solution. If you don’t feel like you can tell anyone you know, or if you have told someone and they haven’t been able to help, you can contact Camden Safety Net in confidence to talk it through. Our friendly team are there to help you and give neutral advice. Alternatively, you can use the submission form below. 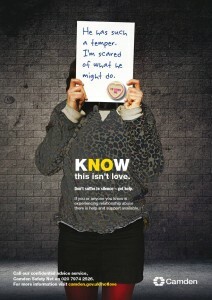 Visit urlife.org.uk for information around personal issues that affect young people. Visit ageuk.org.uk for more information about issues that affect older adults. The Broken Rainbow confidential helpline service is run by trained LGBT people who have an understanding of sexual identity issues along with the impact domestic abuse can have on your life. Call: 0800 999 5428. Visit our pages on safeguarding children if you have concerns about the possible sexual exploitation of a child or young person. You can use the ‘hide’ button to take you away from this website at any time to Google’s homepage. Every time you visit a website, an electronic ‘footprint’ is stored on your computer allowing anyone to see the websites you have visited. If you’re worried about someone knowing you have visited this website, please read below for information about how to delete browsing history from your computer. Please note: The information below may not completely cover your tracks. If you delete all browsing history, then other users of your computer may also notice their browsing history has been deleted. If you want to be completely sure of not being tracked online, the safest way would be to access the internet at a local library or at a friend’s house. How do I work out which internet browser I’m using? If you do not know the type of browser you are using, click on ‘help’ on the toolbar at the top of the browser screen. A drop down menu will appear. The last entry will say ‘about Internet Explorer’, ‘about Mozilla Firefox’, or something similar. This is the name of your browser. You should then refer to the relevant instructions below. Any email you have sent will be stored in your sent items folder. Go to this folder and delete emails you don’t want anyone else to see. If you started an email but didn’t finish it, it might be in your drafts folder. Go to this folder to delete it. When you delete an item in any email programme (for example, Outlook), it moves the item to a folder called ‘deleted items’. You have to delete the items in the deleted items folder to remove them completely.